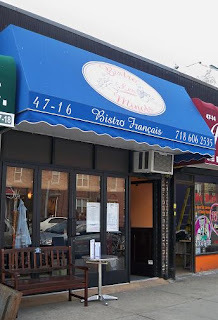 Bistro Les Minots, the new French restaurant on 30th Avenue and 47th street will be having its first wine tasting, which from now on will take place every Tuesday. And enjoy their yummy cuisine along with the vino. They offer a $19.95 prix-fixe dinner from 5pm - 7pm everyday.